The AJK encapsulates Salix's experience and passion as batmakers. It is their most modern shape, combining a sharper, flat pressed face with a languid, deep bow to create a stunningly sculpted, flared edge, power-house of a bat. It has the fluid, sculpted lines of the Pod but with contemporary flatter pressing. 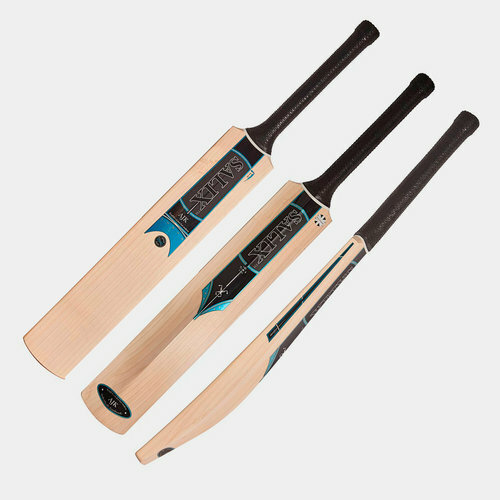 This shape, which is literally pulled around a very thick, low edge, can only be achieved through traditional, instinctive and inspired batmaking. Designed and made for similarly instinctive players, this will take their game to a new level.